Hey there guys Lolman here coming to give you guys a guide on the newest legendary card, the Magic Archer. When I first played Magic Archer, the first thought that went through my head was overpowered. However after trying a few decks with him, I find him more of a niche card. He iss great on offence vs decks that have defensive buildings especially Huts etc where you can get a lot of value utilizing his range by sniping things. Say you play Magic Archer behind a Giant and they straight up play Minions or Minion Horde when you have a Zap. This can prove to be a game winning play! That being said, he’s not hard to counter, doesn’t do too much damage and his AOE isn’t that impressive either. He synergizes well with the Tornado because he’s got a similar mechanic to the Executioner. I’d almost say he’s simply a better Dart Goblin like the Exe is a better Wizard. He also is vulnerable to Poison and Fireball so you want to utilize his range when your Tower is low HP. Also you want to treat him like the Princess to a certain extent by not worrying about Slight. Ideally, if he has a lot of HP left, he requires your opponent to still expend Elixir to answer him. His range and projectile range are the key factors so keeping that in mind, use him for the purpose you have him in your deck rather than say a Musket or an E-wiz. Like here, for a +1 Elixir trade (plus counter pushing Magic Archer which needed to be addressed), he took care of the Goblin Hut which otherwise would have been a pain in. Keep in mind if they place the Goblin Hut too far back, playing your Magic Archer in this manner would be a waste. 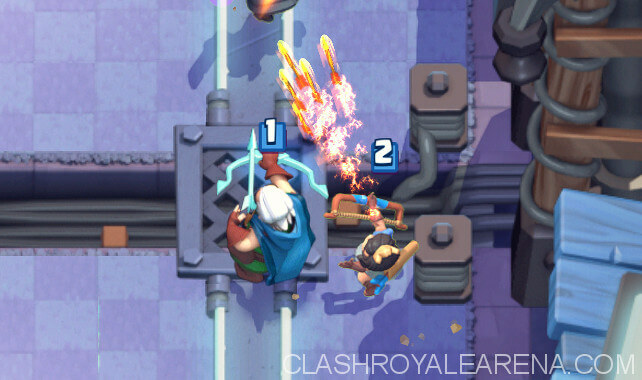 If you play the Magic Archer carefully, he can get chip on Tower plus contribute on your offensive push all while staying in the safety of your towers range. So in a nutshell, he is a fairly balanced card. A little change I’d like him to have is perhaps reducing his rate of fire and make him a little tankier so Poison would kill him but not a Fireball similar to Musketeers. Low HP; Vulnerable to Fireball. Low damage point. Thus worse vs tank and single target units. Moves slower -> Better in Beatdown decks. Not as versatile without a spawn Zap. Worse vs tanks, single target units. Higher rate of fire. Arguably better vs swarms. Can’t kill Magic Archer for a positive Elixir trade. Arrow can get needed damage If placed well. Princess has better attack range (2 more tiles). Princess has better AoE, synergies better with cards like Tornado. 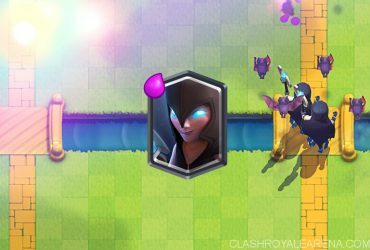 The opponents need to cross the bridge to deal with the Princess, giving invaluable potential plays. 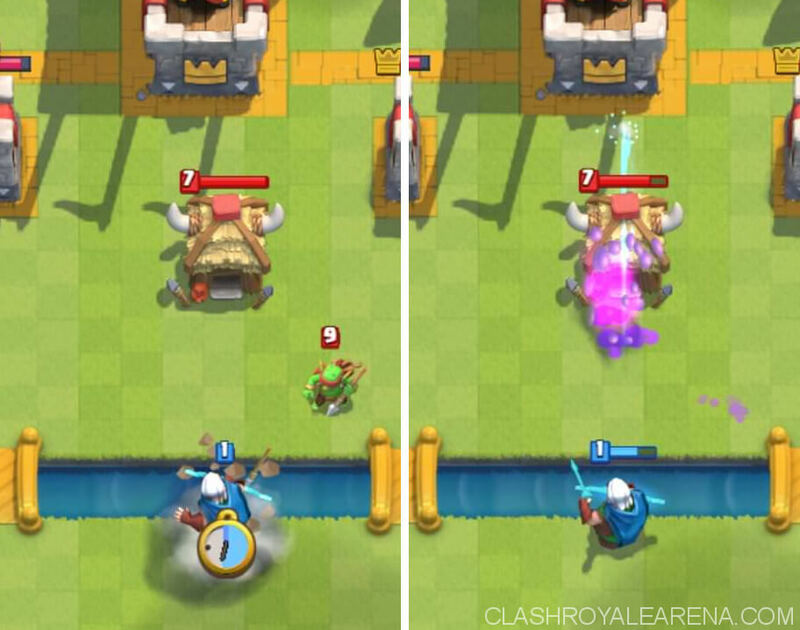 Magic Archer’s Arrows pierce targets potentially hitting more troops. Survive The Log, not giving out positive Elixir trade. Dart Goblin has invaluably high rate of fire. Making him crazy good in many situations. Dart Goblin is Incredibly fast, helping gain some needed damage easy. Those above are potential cards you can replace with the Magic Archer and the benefits and disavantages. It’s up to you to balance your deck to negate the cons, there isn’t really an instance where like prior to Night Witch’s nerfs, Night Witch was considered to be a better E-wiz and replaced E-wiz in almost all decks. So the substitution is purely optional and up to your preference. I find he’s a really fun card to play so give it a shot! In order to use him, you must have a deck. So without further ado I will list out some decks I myself have used/ faced that I think will work really well. Read the guide for it at here. Read more about this deck at here. This deck is a typical Graveyard deck. 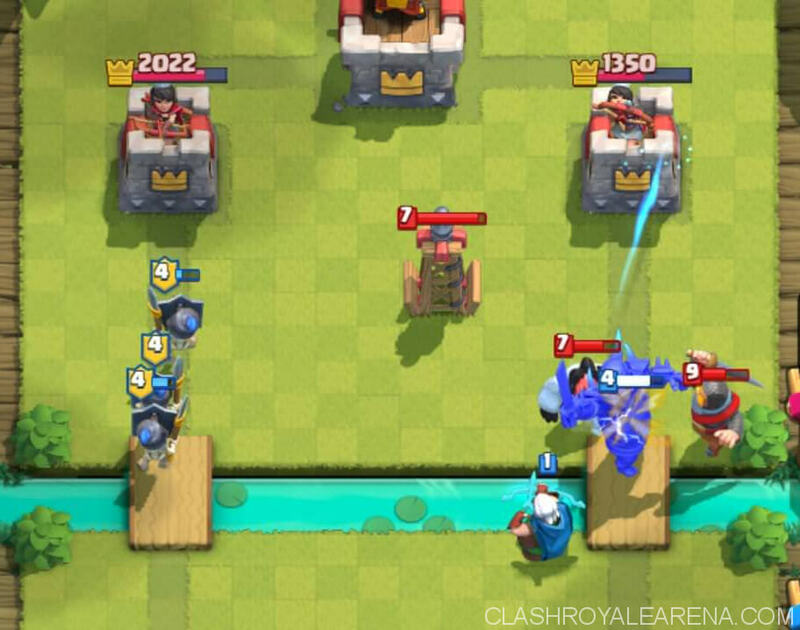 One thing to note, no small spells, so Tornado Barrel to king Tower early on if facing bait. It’s quite solid on defense, utilize Ice Wiz and Magic Archer with Tornado. 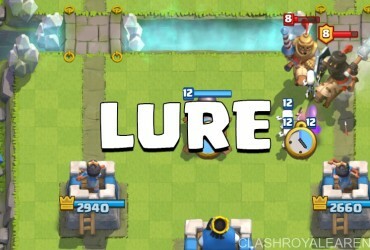 Key is bait out Poison with your Hut or Magic Archer then cycle to a Graveyard on offense. The general idea is to keep cycling Goblin Huts and getting that sweet sweet chip damage for that 1-0 win. High skill cap deck. Magic Archer, Mega Minion and Ice Golem are your defensive trifecta. Using Ice Spirit at opportune moments and Tornadoing as well are required for good defenses. It’s a highly offensive deck however, that being said overcommiting is something you ought to avoid at all costs. Fun deck to try, can replace Ice Golem with Lumberjack or Mini P.E.K.K.A. If you guys have more decks submit them below and might be added onto the guide along with a shoutout as the *creator* of the deck. Magic Archer is quite balanced, not overly overpowered. Honestly, a few days after release, I found myself replacing him in several of my decks, he’s slightly underwhelming. Though he is very fun to play! If you have him, give him a shot! Grind some challenges with some decks, and submit whatever decks work for you guys. Cheers, Lolman out. Hi guys I am lolman but people like calling me lmaoman and roflman, whatever floats your boat. I consider myself an above average CR player and I make guides for CRA with cool decks that I find. I'm pretty active on the CRA discord. Hmu if you guys need and tips or whatnot.